LMAC Photography's Lifestyle Family Division has really expanded over the years. We photograph all types of family sessions an one of our favorite photo sessions is the One Year Old Session. LMAC also offers a Baby Package that includes major child milestones such as newborn, six month, and one year sessions. 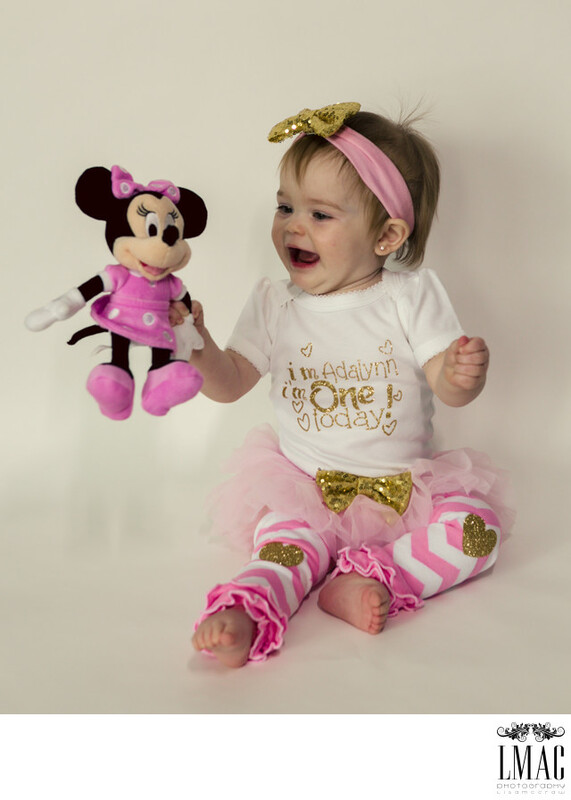 We have photographed most of the major milestones of this family including engagement, wedding, first baby newborn, first baby one year old, second baby newborn, and now second baby one year old. Throughout the photo sessions, there has been a theme of Disney. At Mom's wedding, Dad made the bride a beautiful Cinderella wedding cake and it looks like her daughter will be following in Mommy's footsteps. She loves her Minnie:).